January 22, 2018 - “Street Smarts”, our drawing of the codes and contingencies of our Chattanooga project, opens at The Cooper Union School of Architecture as part of the Drawing Codes: Experimental Protocols of Architectural Representation exhibition. Show curated by Andrew Kudless and Adam Marcus. Also check out the Gallery Roundtable with the curators on January 29! More info here. December 11, 2019 - SPORTS is awarded the Young Architects Award in the 2018 Best of Design Awards by Arch Newspaper. We are super honored by the recognition! More info here. December 8, 2018 - Runaway Toy (second edition) is included in the A+D Impermanent Collection pop-up shop / exhibition. More info here. November 10, 2018 - City Thread, our public space project for the Passageways 2.0 competition opens in Chattanooga, TN! Amazing grand opening block party with the music of Spinster, Courtney Reid and WARSAW, and amazing dance performance by Pop Up Project. November 4, 2018 - SPORTS has just been awarded three 2018 Architecture MasterPrize Awards. Runaway is a winner in the “Architectural Design – Other Architecture” category (info here) and Rounds is a winner in the “Architectural Design – Other Architecture” category, and the “Landscape Architecture – Installations & Structures” category (info here). Thank you Architecture MasterPrize! October 11-13 - Greg and Molly present three papers at ACSA Fall Conference in Milwaukee: Play With the Rules. October 8, 2018 - SPORTS projects Runaway (2017) and Rounds (2016) are featured in the new book, Possible Mediums, by Kelly Bair, Kristy Balliet, Adam Fure and Kyle MIller. A beautiful book; we are stoked to be included. Buy yourself a copy on Amazon, here. September 24, 2018 - We are pleased to announce that SPORTS has won two 2018 International Architecture Awards from Architecture Podium. There were 586 projects registered this year, in a range of categories. Runaway (2017) was awarded “First Award” in the Pop-Ups and Temporary (built) category (info here) and Rounds was awarded “Third Award” in the Pop-Ups and Temporary (built) category (info here). Thank you, Architecture Podium! August 30, 2018 - SPORTS project Hearts of Gold: Buttonwillow Rest Area (2018) is featured in Adjacencies exhibition that opened August 30, 2018 at Yale School of Architecture, curated by Nate Hume. So delighted to be included alongside so many office we admire. On view until November - see more info here. May 15, 2018 - SPORTS has won the Passageways 2.0 competition to turn the Cherry Street alley in downtown Chattanooga into a public space! Project opening Fall of 2018 - stay tuned! April 15, 2018 - Excited for both Runaway (2017) and Rounds (2016) to be among 22 "special projects" shortlisted for the 2018 THE PLAN Awards. More info here. January 23, 2018 - Happy to announce Runaway, our Santa Barbara project for MCASB, as one of the 2018 ACSA Faculty Design award winners! More info, and the other winners, here. January 22, 2018 - SPORTS projects Myth (2014), Rounds (2016), and The Sweetness (2914) at "Inscriptions: Architecture Before Speech" show at Harvard GSD, curated by K. Michael Hays and Andrew Holder. Thrilled to be included with so many we admire and learn from. On view until March 11. More information here. December 18th, 2017 - SPORTS is thrilled to be selected as a semi finalist for the Passageways 2.0 competition in Chattanooga TN! Looking forward to working with the folks down there to develop our proposal over the next couple months. December 1st, 2017 - Three Projects, the collection of model-drawing hybrids we created for the 2017 Arch League Prize exhibition, has been named Winner of Digital Representation in the 2017 AN Best of Design Awards! August 24th, 2017 - We are excited that Runaway was selected as a finalist for a 2017 Surface Travel Awards, among a cool group of pop-ups! June 27th, 2017 - Come see the Architectural League Prize 2017 exhibition and lecture tonight! June 17th, 2017 - Excited to be included in the A+D museum's "architecture, architectural & Architecture" show. Thank you to Ryan and Anthony! May 20th, 2017 - SPORTS is setting up shop at One-Night Stand for Art & Architecture in Los Angeles. More info about the event here. Thank you to curators Kyle Miller, Jennifer Bonner, and Volkan Alkanoglu! March 25, 2017 - Runaway, our new pavilion for the Museum of Contemporary Art Santa Barbara open today at Stearns Wharf! The pavilion will be moved and rearranged at a number of different sites in Santa Barbara over the next few years. Excited! December 16, 2016 - Thrilled to have Rounds selected by Architect's Newspaper for a "2016 Best of Design Award"! Read more about the project and award at this link. December 15, 2016 - SPORTS is invited to participate in REJECTED Exhibition, hosted by Team B Architecture in Cincinnati, OH. 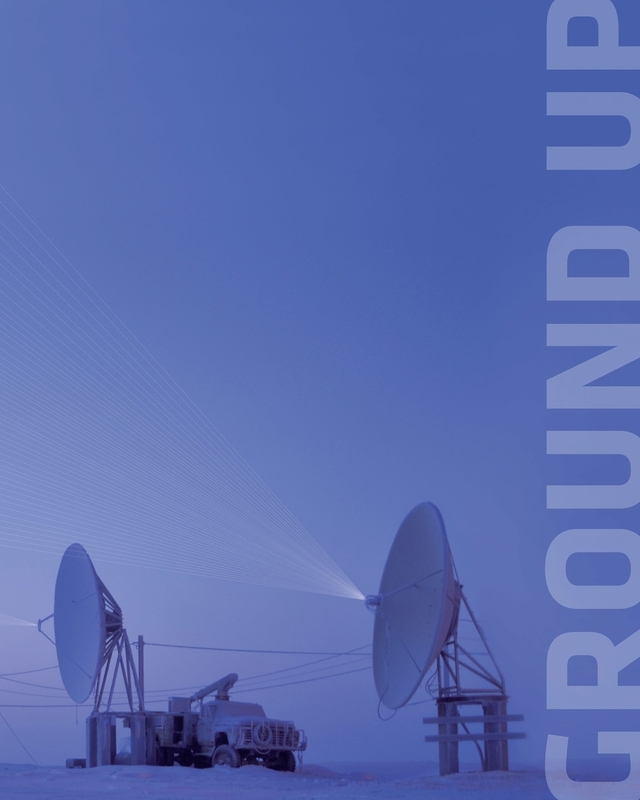 Our submission is a series of Rounds pattern tests, rejected for a variety of reasons (see "Prints" section to the right of this page). Read more about the exhibition - and the other awesome participants - at this link. December 8, 2016 - Honored to have Rounds, our temporary pavilion project for the Ragdale Foundation, included in Blair Kamin's Chicago architecture "year in review" article! Read the article at this link. December 4, 2016 - Huge thanks to ARCHITECT Magazine for featuring SPORTS as "Next Progressives" in this month's issue! Check it out in the December 2016 print issue, or at this link. November 17, 2016 - SPORTS has been selected as the team to build a pavilion for the Museum of Contemporary Art Santa Barbara! Read more info about the program that the pavilion is a part of at this link. The project is under construction as of this week...stay tuned! July 27, 2016 - Huge thank you to The Architect's Newspaper for featuring Rounds on the front page of the recent national issue! Pick yourself up a copy, or check out the online version here. July 8, 2016 - Blair Kamin publishes review of Rounds, our project for the Ragdale Foundation in Lake Forest, IL, in the Chicago Tribune. Read the review at this link! June 30, 2016 - Greg is excited to begin a fellowship residency at the beautiful MacDowell Colony in Peterborough, NH. See you in three weeks, Greg! April 12, 2016 - SPORTS has won the 2016 Ragdale Ring competition! We are excited to work together with The Ragdale Foundation and Arup to build the project early this summer. Check out the project at this link! March 18, 2016 - SPORTS presents their paper "No Rhyme or Reason: The Whimsicality of Folk Art Environments" at 104th ACSA Annual Meeting in Seattle. March 1, 2016 - SPORTS is featured in the March issue of Architectural Record magazine. Check out the print issue, or at this link! January 1, 2016 - Molly Hunker's essay "The Opulent Spirit" is featured in MANIFEST 02: Kingdoms of God. October 6, 2015 - SPORTS is invited to participate in a panel discussion for the Visual Studies courses at University of Pennsylvania, Department of Architecture. Thank you to Nate Hume for the invitation! July 8, 2015 - SPORTS lectures at UCLA A.UD as part of the Summer JumpStart lecture series. Thank you to program coordinator Jia Gu and program director Georgina Huljich for the invitation! June 1, 2015 - SPORTS is selected as one of five finalist teams to submit a proposal for the FIU Emerging Architects Initiative Rooftop competition in Miami. See the list of finalists here. May 21, 2015 - Little Joy is selected as a notable entry for the 2015 Folly Competition. April 20, 2015 - SPORTS includes a drawing in DRAWN, the UCLA Architecture and Urban Design Alumni and Faculty exhibition, opening Monday, April 20th at Perloff Hall. April 14, 2015 - Molly Hunker participates in Play it Forward: Games, Theories, and Architectures panel discussion at Syracuse Architecture moderated by Benjamin Farnsworth, Jonathan Louie, and David Shanks. 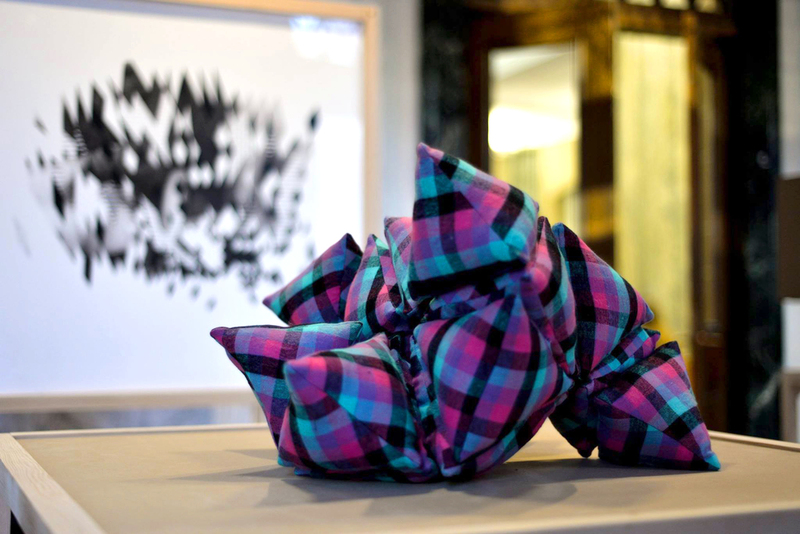 March 18, 2015 - Molly Hunker and Greg Corso contribute a drawing and object to the SU School of Architecture Faculty Exhibition, 5x5 Chimeras. March 4, 2015 - The Sweetness is included the 2015 AIA Emerging Professionals Exhibition in Washington DC. See details here. February 17, 2015 - SPORTS participates in "Other Practices" panel discussion at SU School of Architecture, moderated by Kyle Miller and Joe Godlewski. January 30, 2015 - SPORTS lectures at University of Wisconsin, Milwaukee School of Architecture as part of SARUP 2015 Spring lecture series. Thank you to Assistant Professor Whitney Moon for the invitation! 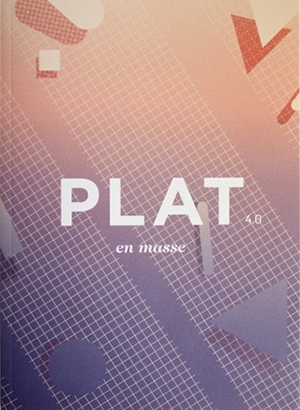 December 5, 2014 - Greg Corso's article "A Charm Offensive" is featured in PLAT 4.0:En Masse. August 20, 2014 - We are proud to be a part of a super talented group of artists and designers features in the most recent issue of The Economy Magazine - Issue 14: All Visual. Thanks to editor Anthony Opal and visual editor Jacob Comerci and the great team who put the issue together. Check out the issue, and download a PDF version from the link! August 1, 2014 - Greg and Molly are excited to accept assistant professor positions at Syracuse University School of Architecture, under the deanship of Michael Speaks. Central New York, here we come! June 1, 2014 - Essay on History / In the Remaking featured in UC Berkeley's Department of Landscape Architecture & Environmental Planning Ground Up Journal. Order a copy of the issue here. April 7, 2014 - Molly Hunker gives "Spiritual Kitsch" talk at the Graham Foundation for Advanced Studies in the Fine Arts, Chicago, IL. April 1, 2014 - Myth opens at University of Illinois at Chicago School of Architecture, 5:30pm. February 20, 2014 - The Sweetness included in the "Designing a Louisville Children’s Museum, Revitalizing a Downtown Edge" exhibit at 21c Louisville. June 20, 2013 - Our article, entitled "State of the Art," published in the current issue of the AIA's journal FORWARD. May 1, 2013 - SPORTS is selected to exhibit in the Annual AIA Center for Emerging Professionals in Washington DC. See details here. April 25, 2013 - Molly Hunker is awarded the inaugural Douglas A. Garofalo Fellowship at the UIC School of Architecture. January 19, 2013 - Our project, History / In the Remaking, is awarded special distinction (Honorable Mention) in the DawnTown Design Build competition in Miami. See details here . November 16, 2012 - SPORTS is selected as one of sixteen finalist to submit a proposal for the inaugural DawnTown Design/Build competition in Miami. See the list of finalists here.